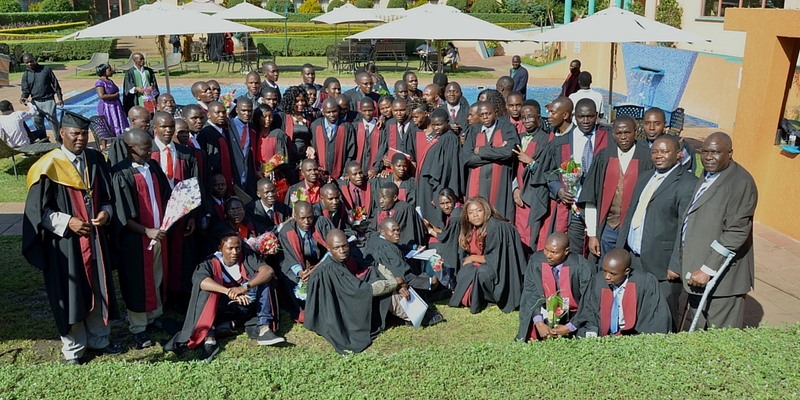 The Pharmacy Assistant Training Program has reached its own “graduation” of sorts. As VillageReach transitions from leading implementer to technical advisor, others – government, donors and additional implementation partners – are now working to manage and fund the program at scale. Last month, VillageReach convened more than 35 program stakeholders, inclusive of the Malawi Ministry of Health, USAID | DELIVER, Malawi College of Health Sciences, and Imperial Health Sciences, to determine the strategy for meeting the Ministry’s goal of having a pharmacy assistant in every health center, more than 650 nationally. One of the most important lessons I’ve learned in my career in global health, is that launching a program is actually the easiest part. Growing and sustaining success is where the real work begins. 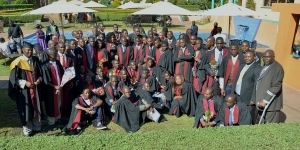 So when I heard that donors and partners alike expressed their interest and ideas around “comprehensive” support for capacity building at the Malawi College of Health Sciences, expanding to new training institutions, and sponsoring students, I was excited to know that a program I so deeply believe in will be able to continue its impact. In global development, where timeframes to scale are often measured in decades, reaching this point in just under 5 years is something worth celebrating. But in order to understand the importance of this milestone, it’s helpful to understand how we got here in the first place, and why it matters. 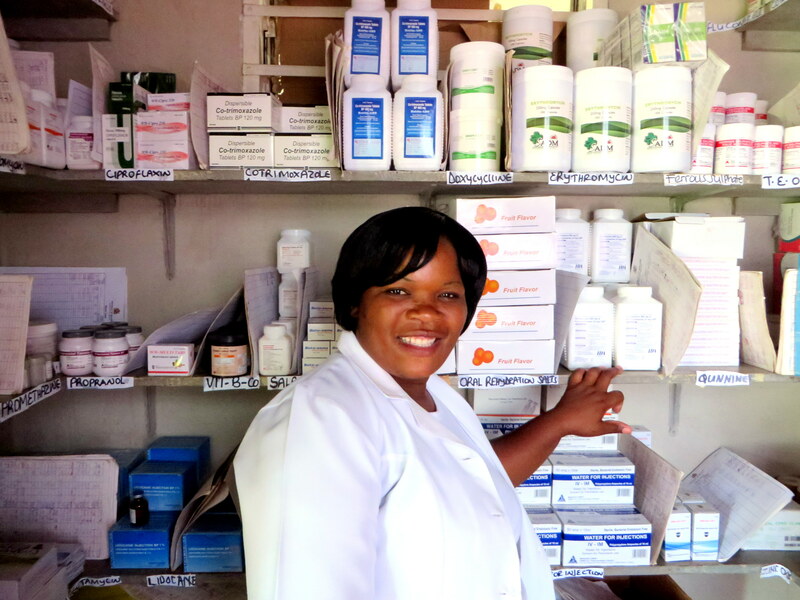 The Pharmacy Assistant Training Program addresses a specific gap in Malawi’s healthcare delivery: the lack of trained pharmacy personnel. In 2011, the Ministry of Health reported only five pharmacists working in the country’s entire public health sector and a reported 70% vacancy of the established pharmacy posts. Already overburdened healthcare workers are left to manage inventory and dispense medication with little or no relevant training. Inaccurate data sets, diminished medicine availability, loss of medicine, and below standard dispensary practices affect patient care. Moreover, the time dedicated to pharmaceutical and logistics tasks takes clinician time away from patients. In a country with only 2 physicians and 38 nurses for every 100,000 people, every minute of a clinician’s time matters. Pharmacy assistants reduce the burden on clinicians in managing inventory and other logistics tasks so that they can focus on their primary role – patient care. 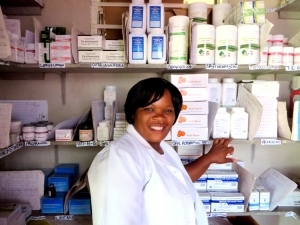 The idea for pharmacy assistants wasn’t a new concept, but in Malawi, like in many countries, it had not been applied or sustained, leaving a gap in the most rural and remote communities, where assistance is needed most. Starting in 2012, and with the support of funders like the Barr Foundation, Vitol Foundation, and USAID | DELIVER, VillageReach alongside the Ministry, College of Health Sciences and University of Washington’s Global Medicines Program began working together to create a new Pharmacy Assistant Training Program. This work included an enhanced curriculum with a strong emphasis in practicum training in the field, development of a successful recruitment process, support for program infrastructure (i.e. student supplies), and ongoing technical assistance. Working from existing priorities of the government ensured early support from the Ministry and other partners. Emphasis on rural service. Practicum experiences in rural health settings delivered value as early as possible, and solidified support for the program at all levels as demand from the field for pharmacy assistants increased. 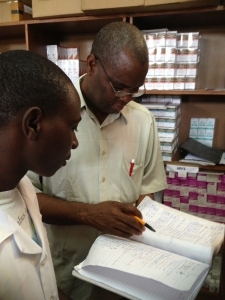 Evidence from routine monitoring and evaluation has already shown the incredible impact Pharmacy Assistants have on the health centers and communities they serve – improving data quality, storeroom management and patient care while reducing the time clinical staff spend on logistics and pharmaceutic tasks by up to 80%! The first 133 students have proven their worth: this approach is solving a critical human resources gap at the last mile. Even with this month’s graduates joining the workforce, there are still many rural health centers, and even district hospitals that are without adequate pharmaceutical and logistical support. With the training of Cohort 3 underway, the Pharmacy Assistant Training Program will continue to address this need as more well-trained personnel are deployed to facilities nationwide. 650 is a lofty goal, but it’s now one step closer.